I ride a c90 cruiser and fz1 sport, these tires grip well. This the second tire that I purchase and am very happy with the product. It handles well and has a smooth ride. It also has great traction under wet weather. Love the tires and also hands down best price around!!!! Fast and free shipping can't beat it.. This is my second Exedra Max tire, awesome tire for the money. I still had half the tread left after 2 seasons of riding and would have still used it next year. As luck would have it I picked up a 10d nail right in the middle of the tread. Take no chances and purchased a new tire. Bought this for my Concours 1000. Solid tire, I'm 12,000 miles into it, about half tread left. Only thing I'd have to say is next time I'll be going one size up to a 160/80 instead of 150/80, as the 150 has more lean to it than I'd like to have. 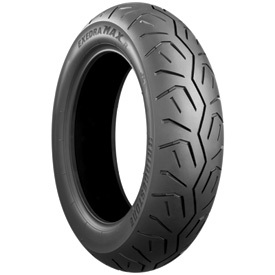 The third Excedra Max tire I have purchased for my Triumph. I really like the handling and traction improvement over the OE tire. Very good tire. Quality at an affordable price. This is my 2nd set. I'm over all happy with Rocky Mountain, the best price on line. I got exactly what I ordered in a week. The tire is two years old made in 2015. I was worried in was going to be much older. 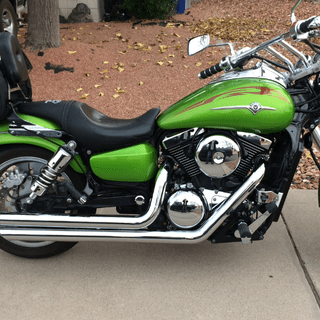 Sure, I ride a VMax and I ride hard in Colorado with lots of mountain rides, but really... 4000 miles and I have cords showing! (note: I have NEVER roasted the tire!). Half the tire is down to cords and that happened in just one 100 mile mountain ride! This tire did not even last a summer! I purchased it 4 months ago! DO NOT BUY THIS TIRE!!!! Did not get the mileage i was looking for. I bought Michelin Commander II and had way better mileage. This was a bad tire I received. It was out of round. Your company replaced it but I had to pay for one tire installation twice. And very inconvenient for me. This is by far the best tire I have ever had on the rear of my beast. It goes side to side better than it should for a bike this size. Fantastic ride and superb traction even in extreme wet weather. My search is over for the perfect tire for my cruiser and has already surpassed the mileage expectation and not even half gone. Great job Bridgestone. Just what I was expecting, hold the corners well. No complaints so far. Good traction with little road noise. Haven't had them on long enough to rate their tread life. Had these fitted for 6000kms now, still plenty of wear. We only ride two up so the tyres get a bit of beating on our course chip roads with the excessive weight they are carrying. Good traction wet or dry, no cupping, chipping, ripping or odd wear. We run these at 48PSI as opposed to the Kawa recommend of 40PSI for the big Vulcan (B/stone fronts we run @ 41PSI and getting good results too). Have outlasted the metz 880's we had, we only got 5000km's right down to the canvas and they ripped off chunks!? I live in guam, and I own a 13 harley Street Bob. I bought this tire to replace my stock michilean that gave out around 5500 miles, this tire has now lasted 4000 miles and is in need of replacement. It is probably around 40% tread life on it which doesn't make sense. I do ride very aggressively but i never smoke the tire only hard excelerations and fast turning. the roads out here in guam are very slick as they are made out of coral. Surprisingly the tire did great even in wet conditions and never really broke traction unless if I nailed it. Its to bad this tire gave out so fast, its already starting to slip when its wet and maybe has 1000-2000 miles left on it till the wire starts showing. Great Tire for the Price!! Have had this tire about 800 miles so far. Too soon to tell about tread life but i previously had a G851 rear tire that was great but after 9000 miles it was toast. I ride pretty aggressively and its taken everything I have thrown at it and it STICKS!! Great price and outstanding shipping. Will buy from Jake Wilson again for sure!! I shopped for quite a while looking for a good quality tire that wasn't super expensive. I only put it on this week (200 miles) and have been impressed with it so fare. It grips very well and no wheel spin at all even putting out hard like I always do. I'm hard on tires so I will update this review once I've got a few thousand miles on it. It's right on about the size for this tire. I know some manufactures vary a bit but it was right on about where it should be. I like the tread pattern and it looks to have nice deep tread. can you believe i got 12k out of this tire? handles well on all surfaces, corners well and feels very sturdy when I go 2up. All in all great value for a heavy bike. Only have 4,000 on the tires so far, but am impressed. Tires grip great, dry or wet roads. They are quiet. They love to corner and don't mind going deep into the corner. Now as long as I get decent mileage from them, they are a keeper. are these tires tube type? BEST ANSWER: These are Tubeless tires but you can run a tube in them.